Common Cold / Influenza / Other Respiratory Infections - Andreas Schwerte, O.M.D., L.Ac. Antibiotics have saved many lives over the past 45 years. We are truly fortunate to have them available for serious bacterial infections. Unfortunately, antibiotics are excessively prescribed, especially to children. The Center for Disease Control estimates that of the 235 million doses of antibiotics given each year, between 20 and 50 percent are unnecessary. Tragically, this overuse of antibiotics can cause devastating health consequences to children. I truly enjoy working with children. Their zest for life and vivaciousness always strike me as a such a precious gift of life. 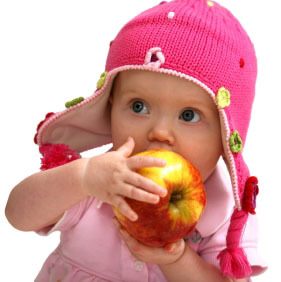 Being a parent it is not an easy task to make informed decisions about your child’s health. Contradicting information and opinions about vaccines, antibiotics, and other medications can make it very hard to chose the right approach. In my practice I specialize in the treatment of recurrent colds and ear infections, influenza, ADD/ADHD, digestive complaints, and general malaise in children. Because these ailments can often be traced back to a weak or challenged digestive system the overuse of antibiotics in children are of great concern to me. In alternative pediatric medicine most problems which are commonly treated through antibiotics can easily and often more effectively be treated with natural medicine without exposing a child to the harmful effects of antibiotics. More and more awareness is generated through scientific studies questioning the effectiveness and safety of antibiotics in children. A study conducted at the Henry Ford Hospital in Detroit, Michigan shows that children given antibiotics in their first six months of life have an increased risk of allergies to ragweed, pets, grass, and dust mites, as well as an increased risk of asthma and other bronchial complaints later in life.